Youth Lesson: Dealing with Difficult People by Kelly at Southern Komfort – Kelly and her husband may have created this lesson for her youth students, but they put together an awesome message for people of all ages. Go read it and give it some thought…it’s well worth your time! Explaining Bloggers on Instagram to Non-Bloggers on Instagram by The Daily Tay – As usual, Taylor has me laughing. She tells the truth about how we bloggers are downright crazy. If you blog, go read this and treat yourself to a smile. 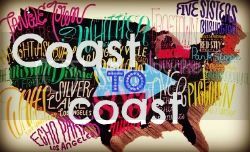 My Favorite Blogging Resources by Anne at Love the Here and Now and Christine at The So-Called Homemaker – I don’t think a week goes by where I don’t learn at least one thing from Anne’s tutorials. Ridiculous. Go read this one, you won’t regret it. The phone arrived yesterday. We were expecting it on Tuesday, but it got stuck in Tennessee because of the winter weather. I’m super-duper excited about it. I’m loving the thinness and the big screen. Unfortunately the SIM card in my iPhone 4 did not fit into iPhone 6. Sooo Dave had to run out to the AT&T store last night to get us new SIM cards while I made dinner. Anyway – I still need to find a cover. I had a soft silicone cover for my iPhone 4 and it served me well. I’m not particularly hard on my phones – I’ve never broken one or had water-related accidents with them (knock on wood). I’ve been having trouble finding soft silicone cases for the iPhone 6 online, and now that I have the phone I can see why….it has so much stuff on the bottom and the button is also close to the bottom so it would be difficult for a softer case to envelop the phone like they did in the older model. So I’ll probably be switching to a hard case that snaps on the phone. I don’t know how I feel about that….we shall see! Today I’m going to jump right in to Blogger Love, because I found so many great posts out there this week. I think most of these were posted on Monday. Was something in the water that day? Responsible Blogging: Write from Experience – Seriously, Sarah? What I Read Last Month: January – Seriously, Sarah? 10 Ways You’re Driving Your Spouse Crazy – The New Wifestyle – I think Chelsea is somehow spying in our apartment from halfway across the country. It’s nice to know that these marriage complaints aren’t unique to us! Dave is so guilty of #1 (I BOUGHT a place for us to hang our keys and he STILL puts them on the kitchen counter. WHAT IS UP WITH THAT!?) and #5, I’m guilty of #7, and #10, and we’re both guilty of #2 (me more than him though), #3, #6. We don’t often have problems with #4 or #8, and thankfully we have zero problems with #9. Obviously you have to go read the post to know what I’m talking about. 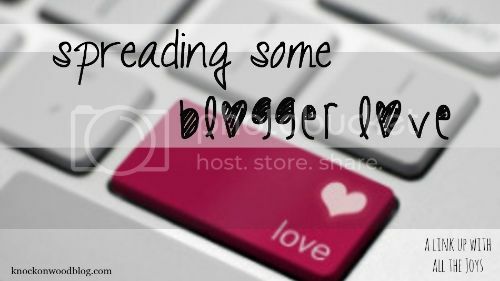 Let’s start out with Blogger Love this week…. Responsible Blogging: An Introduction – Seriously, Sarah? Is it just me or have there been a lot of people in blog-land posting about infertility and miscarriages lately? I feel like I’ve seen as many infertility / miscarriage posts as I’ve seen pregnancy announcements lately. While it’s unfortunate that so many women and their families are struggling with these issues, the fact that I’m noticing something like a 50/50 ratio of infertility to pregnancy announcement posts probably sheds some light on how common infertility and miscarriage problems are for women. Kate’s post about what not to say (and what to say) to someone who miscarried is enlightening, especially for those of us who have never tried to get pregnant and have no first-hand experience.